This product will be in stock on Thursday 21 November, 2019. Make the most spectacular impression this holiday when you send family, friends and colleagues this beautiful gift of gourmet. Designed to delight, this huge gift tin is overflowing with goodies. 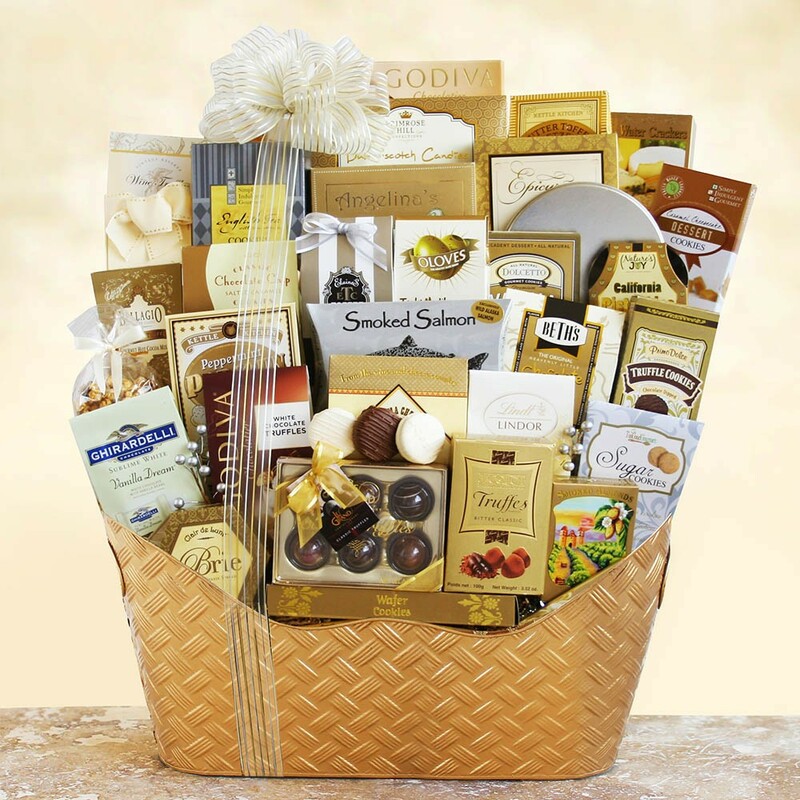 Perfect for a crowd, they will enjoy cheese & crackers, smoked salmon, savory California nuts, gourmet caramel popcorn, Godiva chocolates, and other crowd-pleasing goodies. Wow!